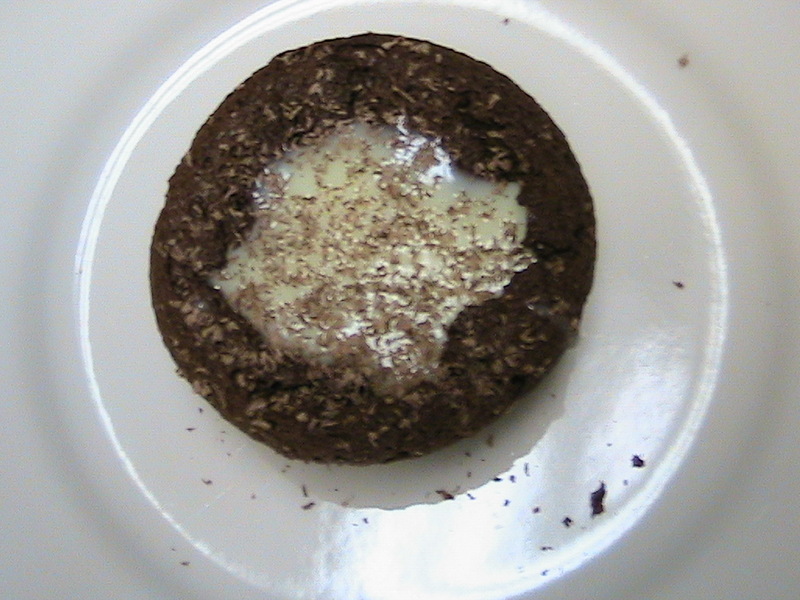 I always have a backlog of recipes that I want to try, but sometimes a recipe just leap-frogs over all the others and demands to be made immediately, like this one from Deb at Smitten Kitchen: Chocolate Soufflé Cupcakes with Peppermint Cream. I saw it posted on the SK website earlier this week, quickly made a grocery list, and then bid my time–we don’t usually make desserts unless we have a bona fide reason to do so. 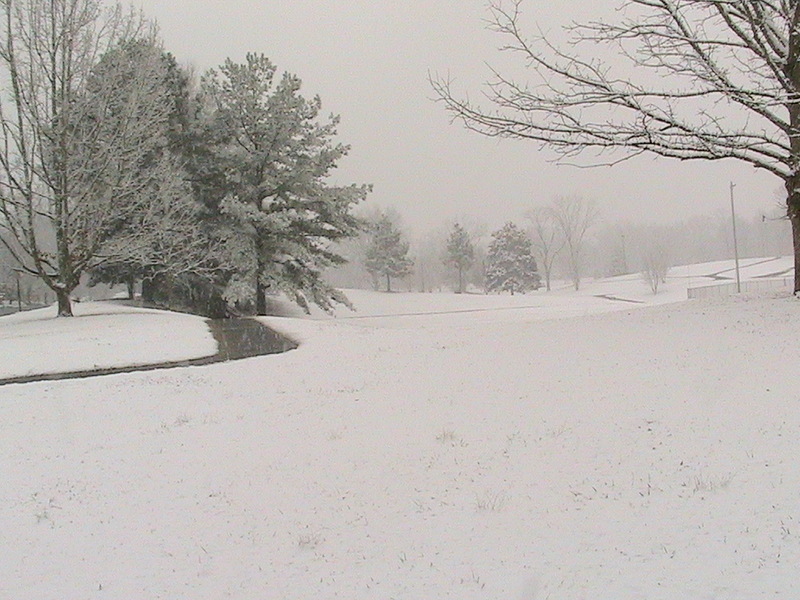 Fortunately, snow fell on Friday, and snowfall in Alabama absolutely must be celebrated. I believe it’s state law. Falling snow puts me in a contemplative frame of mind. I feel compelled to try to appreciate every aspect of it, to understand its beauty in a meaningful way — to have a mind of winter, if you will. 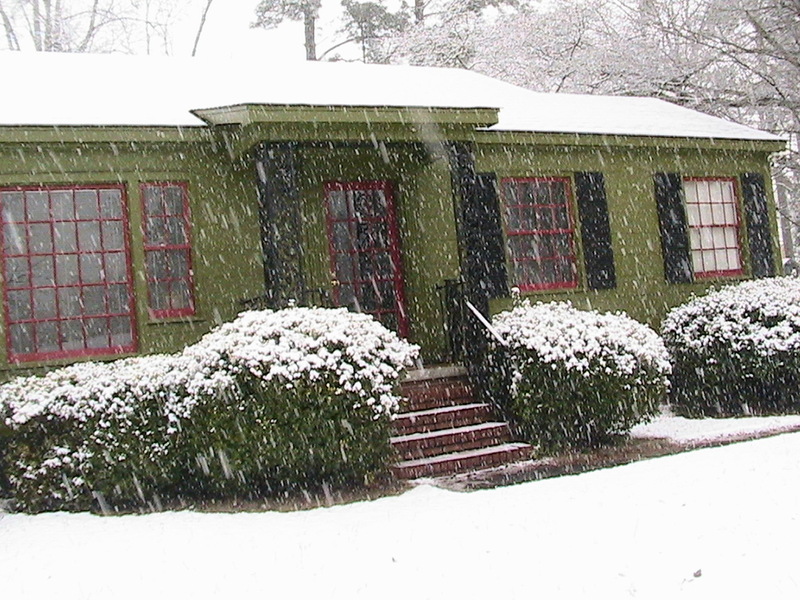 Then the rarity of the experience registers — I live in Alabama, after all — and I want to celebrate, to gather my loved ones around me, build a happy little cocoon of domesticity, and keep out the literal and figurative cold. I crave those small, wintery indulgences: a crackling fire in the fireplace, a bowl of warm soup, and something rich for dessert. I don’t think this is exactly what Wallace Stevens had in mind. Yesterday, I managed to enjoy all of my indulgences save the soup, which I’ll make tonight. 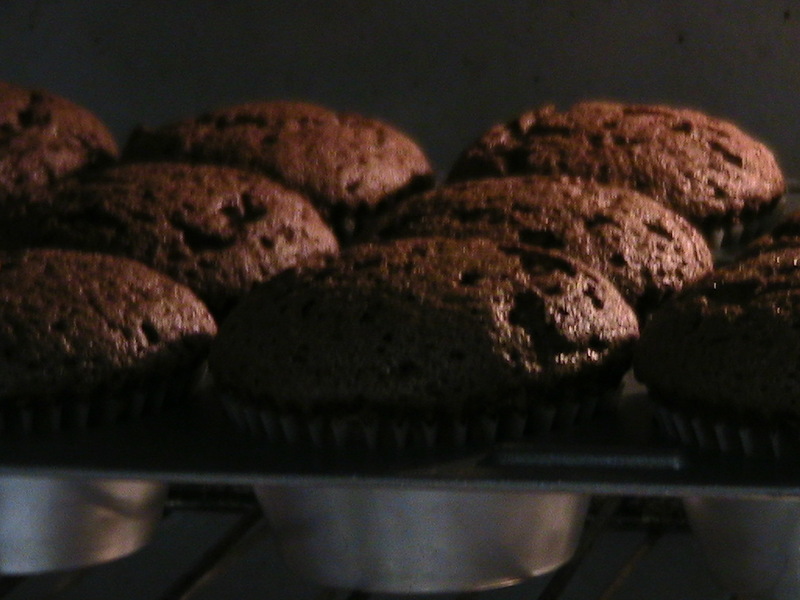 The cupcakes, in particular, were perfect for my mood: a little bit dark with a hit of sweetness. Like Deb, I’m not usually a fan of flourless chocolate cake, but this recipe gets the flavor and texture of a flourless dessert just right. 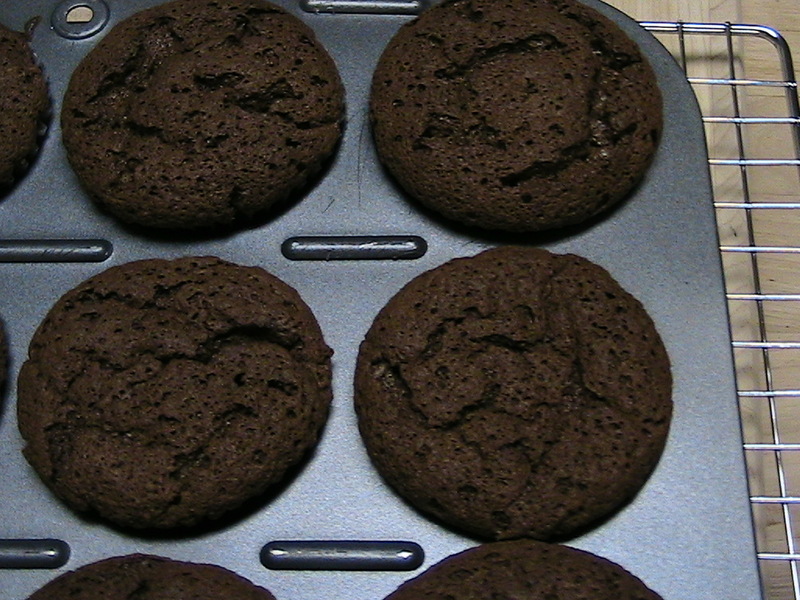 Similar in taste to really good brownies, the cupcakes are light and airy. The best part of flourless chocolate cake is that there isn’t anything to stand in the way of a powerful hit of chocolate flavor, ingredients like, well, flour. 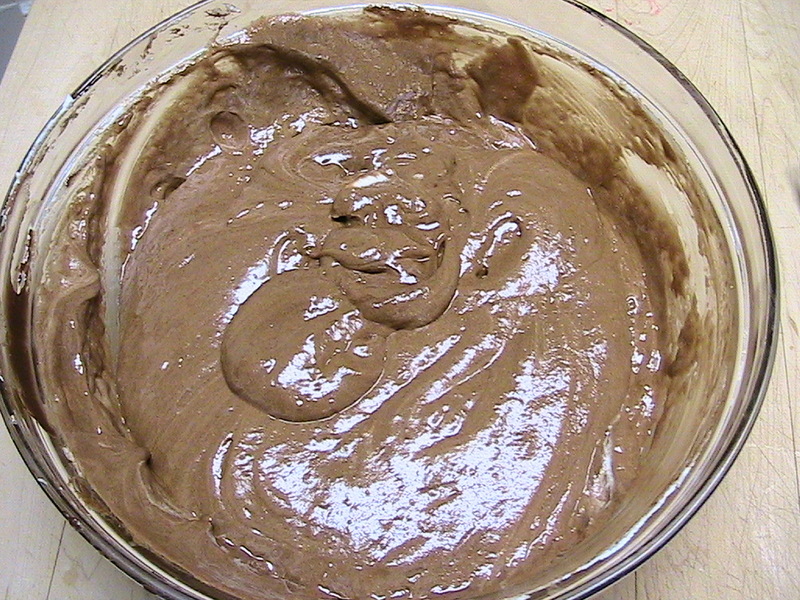 Still, a lot of these desserts resemble nothing more than chocolate sludge with neither taste nor texture to recommend them.This recipe is very different, however. You can see from these photographs that the cakes rise up to lofty heights in the oven. Then sink down into themselves when taken from the heat. They wind up with neat little depressions in their centers, wells that simply must be filled up with something luscious. Peppermint cream is just the thing. It even looks a bit like snow.